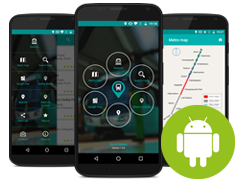 Citrus Informatics Launched Kochi Metro Guide, new Kochi Metro versatile app provides you with information that helps you use the metro to the best of your advantage. This app lets you get to know the nearest metro stations, distances between them and the tentative fares. 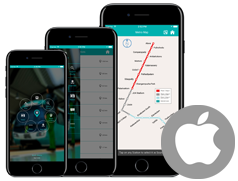 You can even spot the station closest to you while you are on the move with just a touch of your hand. Route Search - Before making the trip, you can get to know the tentative fare information between the two stations, distance between the stations and the number of intermediate stations. A very handy metro map, displaying your route search results. View your route search results on Google Maps. Get information about any station before you reach there. The "Nearby Metro" functionality shows you the nearest metro stations using your current location from the GPS. Share your location easily with your friends so that you can meet without getting lost in the crowd. Find just about any place near you - restaurants, cafes, hotels, movies and shops. You can even look for ATMs, hospitals and parking. Share details of places with your friends on Facebook or through email.